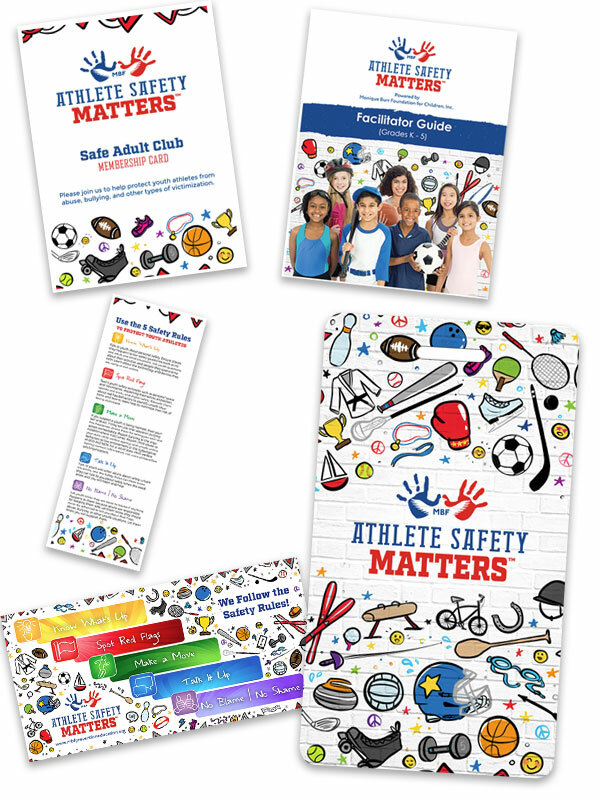 MBF Athlete Safety Matters™ is a comprehensive, evidence-informed curriculum that educates and empowers youth athletes with information and strategies to prevent, recognize, and respond appropriately to bullying, cyberbullying, all types of abuse, and digital dangers. Additional reinforcement materials are also available with the program. For additional information and pricing, please contact us at info@mbfpreventioneducation.org or call 904-642-0210.